With full network visibility and policy enforcement, Perimeter 81 secures protected health information in the cloud, on-site, and in transit allowing you to meet HIPAA requirements. Open Wi-Fi networks give hackers access to an unencrypted data stream, putting patient data at risk. A doctor or nurse can easily end up exposing private health information to the public. If using an unsecured Wi-Fi connection, simply opening a window to their EMR can violate countless areas of patient privacy. If the physician can connect to the network, hostile actors can connect just the same. Ideally, physicians should never use public Wi-Fi networks. However, this warning often goes ignored when security solutions are too complicated. To mitigate this, physicians should be provided with easy to use security tools that protect their devices, regardless of where they’re connecting from. With Perimeter 81, organizations can access even their most private patient data through a secure, encrypted tunnel created through our advanced Cloud VPN. With our service, VPN server and client deployment can happen easily and instantly - without the hassle of manual configuration or help desk support. Users traveling or accessing data outside the office have uninterrupted, secure connections. Manage team and user settings with a visible employee network. 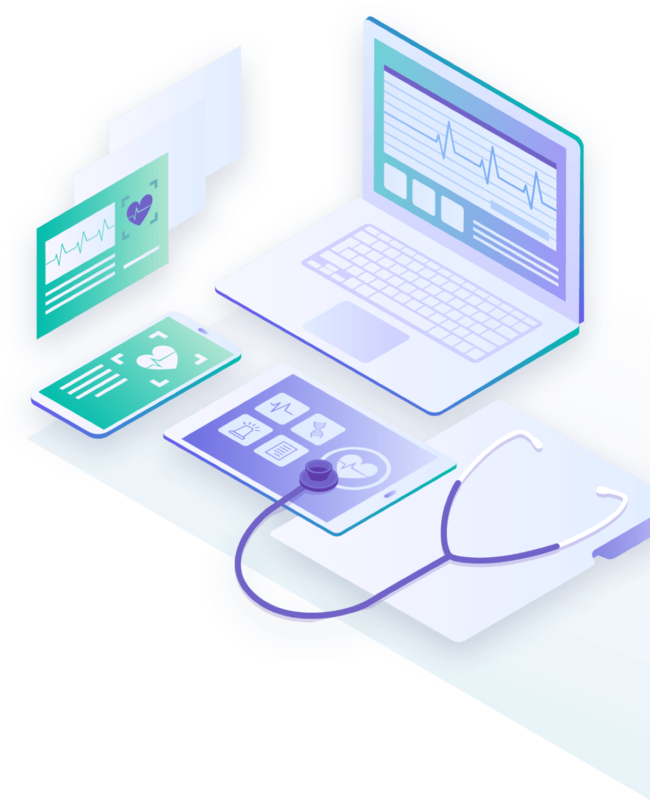 All transmitted healthcare information is encrypted and protected against malicious penetration of the network - supported by around the clock intrusion monitoring. IT has control over the network, monitoring and administering from one central location. Users can connect and share faster, getting responses sooner which is critical in a healthcare environment. We track and audit all transactions between our clients and servers ensuring complete data recovery and protection against data loss from hardware or software failures. Our hardware-free Cloud VPN not only eliminates the need for costly external hardware and tedious installation, it allows you to scale your network as you go and expand with total ease. The healthcare industry is one of the most vital for the protection of private information, which is why new security regulations have been introduced. Drive GDPR compliance by encrypting data, providing access to data in a timely manner following a physical or technical incident and ensuring confidentiality, integrity, availability and resilience of systems. Protect your business from hefty HIPAA-related fines by securing your employee’s vulnerable devices from unsecured networks. With Perimeter 81, physicians can safely access private data without exposing the network to intruders. Get the assurance you need by confirming our SOC 2 compliance badge. We deliver honest security and privacy to our clients through our security platform for the cloud, on-premises, and hybrid environments. We adhere to the highest standards of security compliance, so you can rest assured knowing that you and your client’s private data is fully protected. The average healthcare organization uses 780 cloud services, many of them unknown to IT. With Perimeter 81, you can assess potential risks to your organization, gain insight on how to combat these risks and secure confidential health information. Perimeter 81 prevents data loss and unauthorized access to your network, allowing you to enforce strict policies to data in the cloud, ensuring that protected health information (PHI) and other sensitive data is not stored or shared in the cloud in violation of policies. Under the HIPAA breach notification rule, organizations are required to report breaches if the compromised data is decipherable by unauthorized users. Thanks to encryption, Perimeter 81 secures all data in the cloud from any third party, eliminating the breach notification requirement. As medical professionals and patients are looking to access health data remotely, it’s time to embrace an easy-to-use security solution that works for everyone. Perimeter 81’s HIPAA-compliant, offers two-factor authentication, highly scalable, cost-effective and easy-to-use Cloud VPN service gives companies of all industries and sizes the power to be confidently cloud-based and completely mobile.